Are you looking for a Safety Speaker with IMPACT? 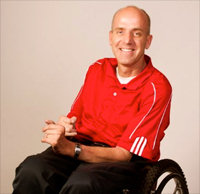 Chad Hymas has been hailed as “One of the most inspirational speakers in the world” by The Wall Street Journal. His safety message has been delivered on all 7 continents and over 15 countries to literally 1.6 million people. These 3-5 minute vignettes are designed for every employee in your organization. From accident prevention to day-to-day behavior change, provide your employees with critical safety tips and reminders during ToolBox meetings or any other time. Welcome to Roll With Safety. We are so glad you found this website as a resource to help keep your employees safe. I am passionate and dedicated to safety. 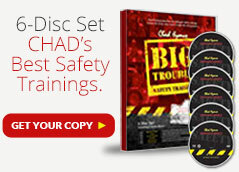 I have developed a program unlike any other in the safety industry. Click play on the video or click on the Roll With Safety tab above to learn about the program. I can’t believe that I’m the man that took the shortcut. I didn’t plan on it happening to me. I can’t believe that I sat in meetings, gave presentations, and then skipped a pre-op, which led to my accident. I would like to engage with all of you on a regular basis through technology. With this technology we can keep the Roll With Safety message alive. We want you to go home the way you went to work. Chad discusses the three main components and advantages of the Roll With Safety program and why you should become a member and enjoy the benefits. 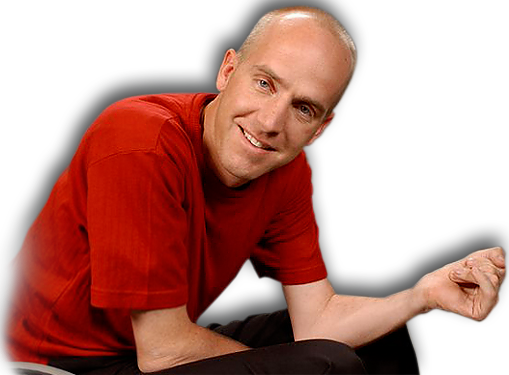 Chad's message will impact your employees all year long and be fresh and vibrant in their minds. Chad’s wife, Shondell, speaks gives a detail account about Chad’s accident and the effect it has had on his family. She helps employees to realize the effects of the choices you make and the importance of taking your time while doing tasks at home and at work. In a live presentation Chad’s wife, Shondell, speaks to Westar Energy about the influence and impact Chad's accident has had on their daily lives. The impact it has had on her, their children, and the rest of the family. Chad was in a hurry. Plain and simply he chose to take a short cut that would have taken him 5 minutes to complete. Instead he chose to “save time” and do it the way he had been able to do so many times before. This time he got caught. A one ton bale of hay came crashing down on him.